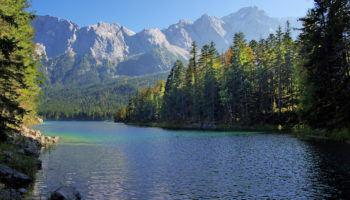 The capital of Bavaria, Munich, is Germany’s third biggest city and is known worldwide for its famous celebration of Bavarian culture – the annual Oktoberfest. 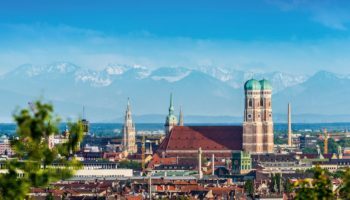 Set alongside the banks of the Isar river, Munich is filled with a wealth of interesting historic sites, cultural attractions and beautiful architecture which attract visitors from all over the world looking for fun and adventure in the German city. Munich is home to many students and along with an immigrant population have added to the depth of culture over the centuries. Delicious food and drink is served from all over the world in small streetside cafes, along the banks of the river and in upper scale restaurants. As night falls, Munich’s bars and clubs heat up: they are well known to be lively and attract those looking for a fun night out dancing. 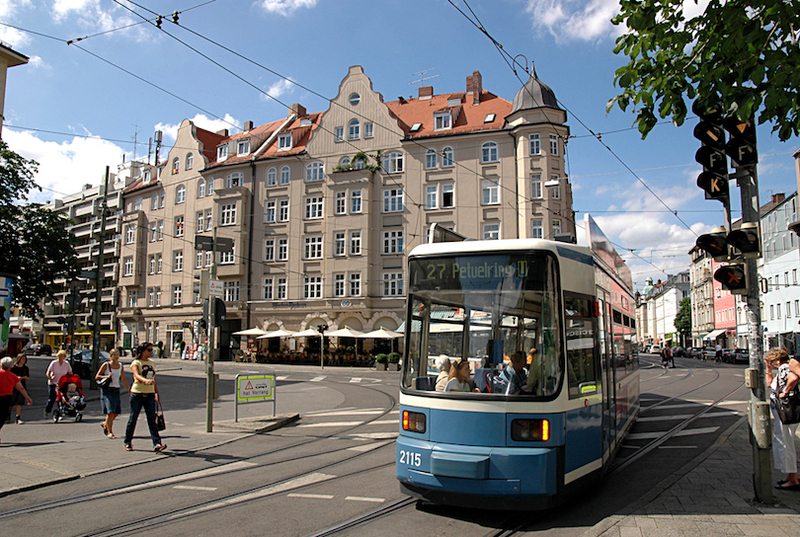 The city is also well connected by public transport with an extensive tram network as well as the famous U-Bahn and S-Bahn, underground trains and overground high-speed train network. 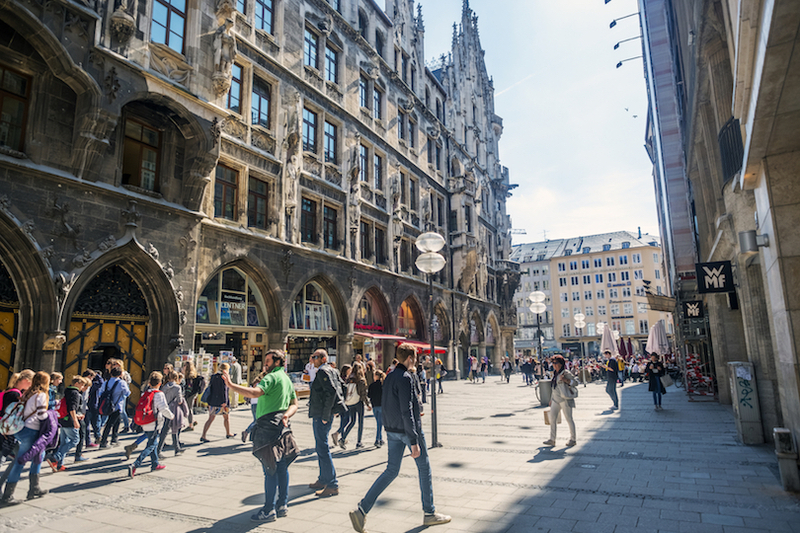 Hotels can be reasonably priced with some great accommodation options available for everyone’s budget, so to help you get planning where to stay in Munich, we’ve rounded up the best neighborhoods in the city. The center of Munich, Altstadt, is a beautiful old town that attracts visitors with its historical architecture and pleasant streets. This is the place to stay if you are visiting Munich for the first time and only have a few days to spare. Altstadt is more expensive than other districts further out of the city centre and hotels can be more costly, but if you can afford to stretch your budget it is one of the best places to stay in Munich. 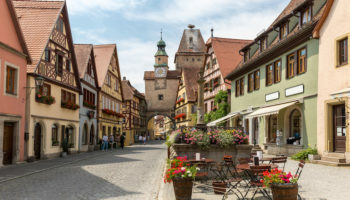 You can spend your time in Altstadt exploring the old streets, taking in the interesting architecture and doing a spot of shopping. 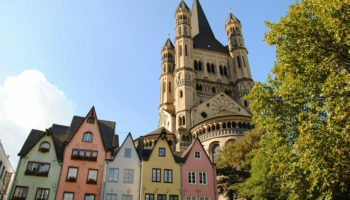 The central Marienplatz square in Altstadt attracts visitors with its gothic architecture along with the Frauenkirche cathedral, which is a Munich landmark, and St. Peter’s Church. The area is also home to Chinesischer Turm: the second largest beer garden in the city. The accommodation, although at the higher end of many people’s budgets, is excellent and right in the middle of many of the big tourist sites. Being central also means great links with Munich’s public transport. Vier Jahreszeiten Kempinski – With its elegant, traditional, and historic interiors, this hotel boasts a restaurant that serves local Bavarian fare, as well as a sophisticated cocktail bar. If you want good views of Munich, head up to the spa or rooftop pool. The understated, stylish rooms at this luxury hotel are comfortable and decorated in warm, earthy tones; some feature seating areas and fine artworks. You’ll find Vier Jahreszeiten Kempinski near Hofgarten Park and the nearest S-Bahn is close by. Bayerischer Hof – The lobby at Bayerischer Hof is what’s going to strike you first; it’s very impressive with its glass dome and pared-back luxury. This 5-star hotel boasts a number of dining options, including an incredible 3 Michelin starred restaurant and a cozy bar. There’s an in-house cinema and a gym with a spa attached, too. The rooms have been decorated with various themes in mind – from colonial to cosmopolitan – and have fantastic views of the city. Hotel Torbräu – This historic hotel is located on the corner Marienplatz, very close to the Residence Theatre as well as the Isartor. The rooms at this 4-star hotel are comfortable and decorated with warm tones and classic furnishings for an overall feeling of contemporary elegance. The hotel is family run and the restaurant serves local produce. There’s also a laid-back bar onsite. Getting around is easy thanks to the nearby S-Bahn station, just steps away from the door of Hotel Torbräu. Platzl Hotel – Staying at this hotel means enjoying home brewed beers and Bavarian dishes in the onsite pub and beer garden, for a real taste of Munich. This place also features a traditional, rustic restaurant with a vaulted ceiling. After enjoying your meal, you can return to your room, complete with wooden floors, wooden furniture, large windows, and sizeable beds. There’s a gym at this hotel, as well as a sauna and spa decked out in an exotic theme. You can rent a bike here to get around Munich at your own pace. Hotel Schlicker – Part of the heritage of the city – housed in a building that dates back to 1534 – this hotel has been run by the same family for over 100 years! 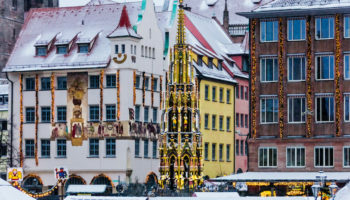 Situated within easy walking distance of the iconic Glockenspiel in Marienplatz, the rooms are traditionally decorated and comfortably furnished. Each morning, there’s a hearty and healthy breakfast buffet served in the breakfast room. Getting around Munich is easy thanks to free bike rental. Known as “the brain of Munich,” Maxvorstadt is close to the university and where to base yourself if you are visiting Munich to explore its many art galleries and museums. Its location close to the city’s universities means that there are many options for budget accommodation as well as a wide range of cuisine available. The cultural Maxvorstadt is a vibrant hang out for the city’s creatives and academics, and its streets are often packed with young people. The museum quarter of Munich, Königsplatz, is in the district, with neoclassical architecture and a plethora of history to delve into in the numerous museums. 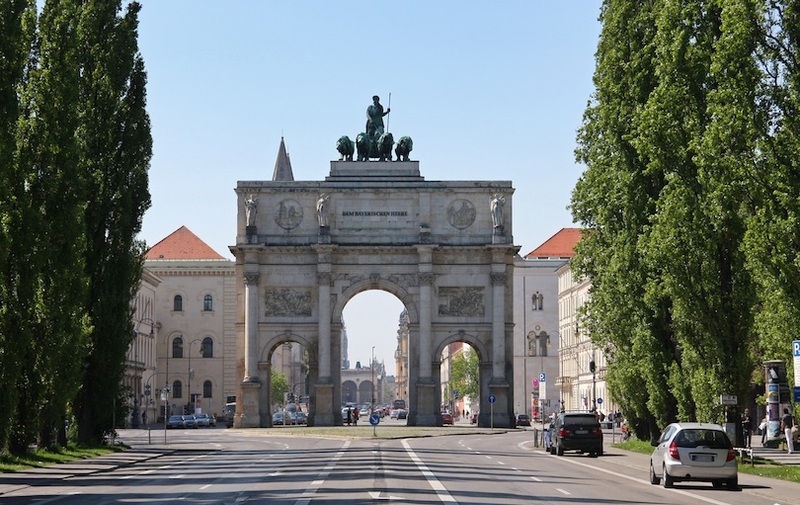 The grand three-arched Siegestor Gate is an interesting spot to discover in this area. There is some luxury shopping in the area in the glamorous boutiques of Amalienpassage. 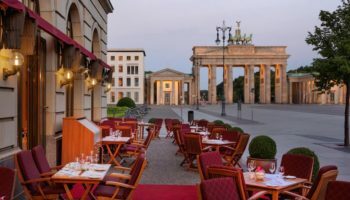 And at night, lively bars and cafes open up around Schellingstraße and the surrounding streets and a lot of fun can be had enjoying food and hanging out with the locals. Public transport is easy to come by in the area, but many of Munich’s top destinations are easy to reach on foot too! Hotel Europa – A quiet option in a central location, Hotel Europa is a bit of an oasis in the city. There’s a leafy courtyard and garden, where guests can enjoy dining outside in the summer months. The rooms are all soft carpets and muted color palettes and are furnished in a simple, contemporary style. For added convenience, there is a tram stop situated just outside the doorstep of this 4-star hotel. Eden Hotel Wolff – Eden Hotel Wolff is a great choice if a convenient location is important to you; it’s just opposite the central train station and housed in a grand, historic building. The rooms here are decorated with natural fabrics, light wooden furniture, wood-paneled walls and exposed bricks for a stylish but low-key place to stay. They also feature elegant bathrooms. To enjoy some flavors of the city, there’s a traditional Bavarian restaurant onsite, plus a cozy bar. Guests can also enjoy relaxing in the rooftop sauna. Hotel Alfa Zentrum – With contemporary, simple rooms and a mix of modern meets traditional decor throughout, Hotel Alfa Zentrum is a good place to stay for fans of convenience. This 3-star hotel is located just a five-minute walk away from Munich’s central station. There’s a buffet breakfast served each morning, plus the onsite bar is open 24-hours and there’s a selection of drinks on offer. Both the Marienplatz and the grounds for Oktoberfest are within walking distance. If you are visiting Munich for Oktoberfest then Ludwigsvorstadt is the area to stay in. One of the top destinations in the city, Ludwigsvorstadt is located to the south of Munich’s central station and is easy to reach if you are arriving in the city by train. The convenient transport links mean that it is a great spot to base yourself to explore what the rest of the city has to offer to. 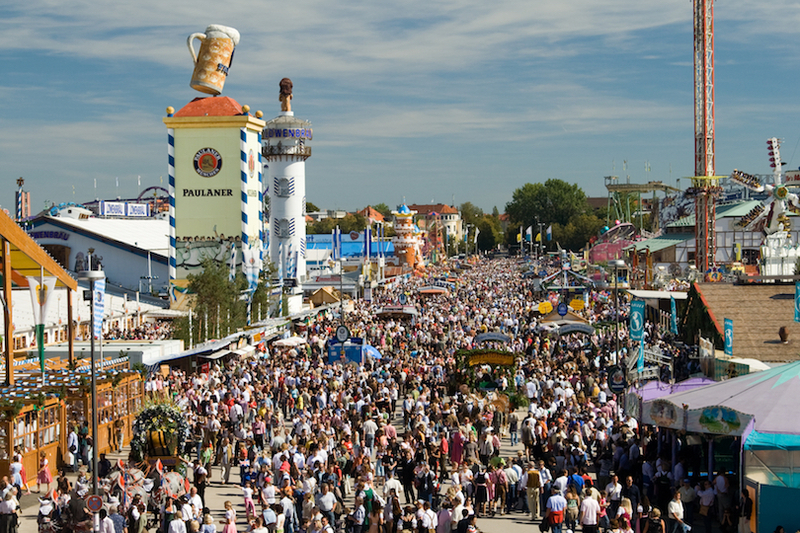 Most tourists in Munich will head to the famous Theresienwiese for Oktoberfest, which is a huge celebration of Bavarian culture; across three weeks in October people head here to drink beer, eat delicious food and have a lot of fun. 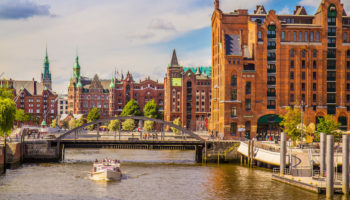 Most of the accommodation in the area are nestled around Hauptbahnhof which has been labelled Little Istanbul for its many Middle Eastern cafes and shops that give the area a strong multicultural feel. The area is mainstay of Munich’s immigrant population and although there is a seedier side it remains safe. Ludwigsvorstadt is well connected to Munich’s public transport system with many U-Bahns, S-Bahns and trams across the area, making it easy to travel around the city. Maritim Hotel München – This 4-star hotel features well equipped, modern rooms decked out with dark wood paneling and stylish floor to ceiling windows; some even feature separate lounge areas. There’s a sizeable indoor pool situated on the roof for panoramic city views. There’s also a fitness center to keep up with those workouts, as well as a hotel bar and restaurant. The Oktoberfest grounds are a 10-minute walk away, plus Munich central station is a stone’s throw away from this hotel. Europäischer Hof – Housed in a historic building, Europäischer Hof is a simple option where guests can enjoy an unfussy stay in modern rooms with large, comfortable beds, spacious bathrooms and laid back, contemporary decor. There’s a breakfast buffet served every day with plenty of local dishes to choose from. 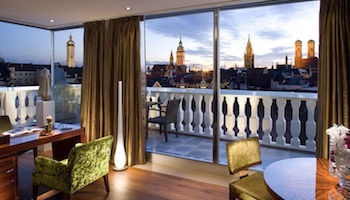 This 3-star option is located opposite the Munich central train station. Isarvorstadt is a more residential area to stay in compared to neighboring Ludwigsvorstadt but the laid back local atmosphere means interesting streets and some great eateries as well as some fun nightlife. 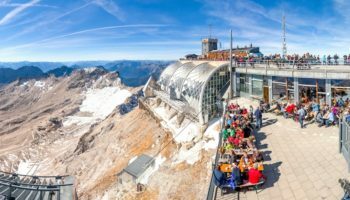 A wealth of lively cafes, restaurants and bars mean the area is alive with the lively spirit of Munich and it’s always fun for first time visitors to the city to spend time enjoying what is on offer. 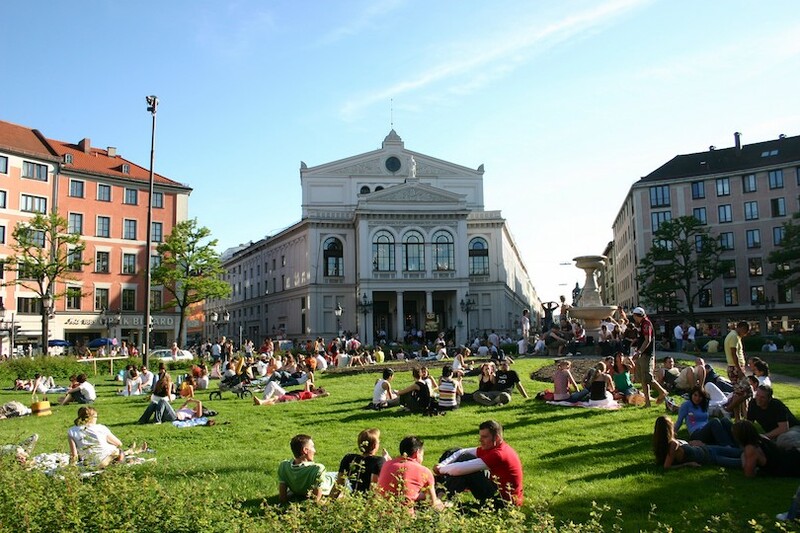 Discover the beautifully landscaped Gärtnerplatz, a square where you can find welcoming cafes and restaurants, and then catch a show at Staatstheater am Gärtnerplatz, Munich’s theater district. The area is also home to the Munich gay scene with most of the city’s gay bars and clubs found along Müllerstrasse. There is less accommodation here, but some more reasonably priced hotels can be found here compared to the more touristy districts; however, the more upscale hotels will inevitably cost more euros. 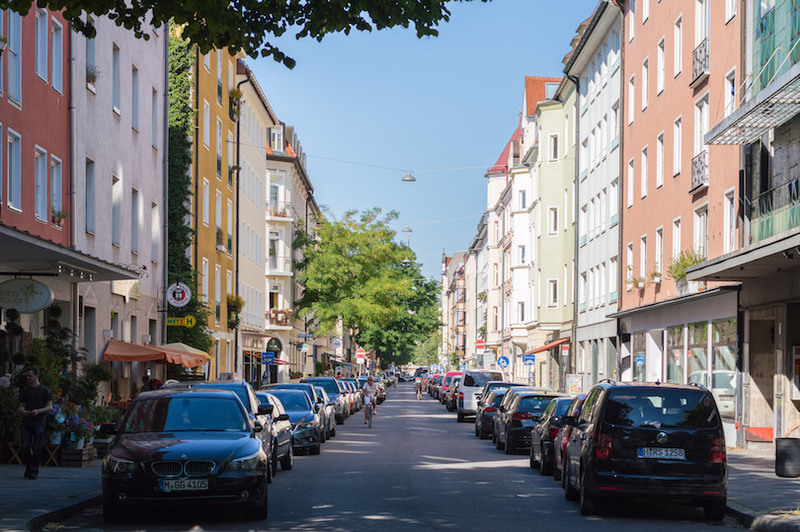 Being central also means that Isarvorstadt has excellent public transport connections and many of Munich’s interesting spots for tourists can be reached within 30 minutes on foot. Hotel Admiral – This traditional yet cozy boutique hotel is all about its Old World feeling. It features antique furniture and classic decor, including neoclassical paintings and Baroque inspired design details. There’s a charming, sun-drenched garden which is perfect for enjoying breakfast in the summer months. In terms of location, it’s just a five-minute walk to the Deutsches Museum and the Hofbrauhaus Brewery. Hotel Herzog München – This hotel really does boast a fantastic location in Munich to experience the fun that is Oktoberfest; the grounds for the festival are a mere 500 meters away. The hotel is situated on Goetheplatz, very near an underground station. At Hotel Herzog München, there’s a beautiful, oasis-like garden for guests to enjoy, surrounded by trees and water features. The rooms are compact but contemporary, featuring rain showers and the option to go for a room with a balcony. If you are in Munich for a party then you should stay in Haidhausen, the district around the Munich East railway station is famous in the city for clubbing. Kultfabrik is the spot to head for in search of nightlife and is packed with an abundance of bars and clubs which offer a raucous night out. Nearby Optimolwerke also has its own nightlife scene, with more restaurants and bars to spend your evening eating and drinking in. Along with the raucous night life there are clusters of chilled-out cafes along the Isar river as well as quaint back streets where you can discover old houses that have barely been touched in centuries. The area is a residential district where a lot of the city’s youth live and commute to work – this means that it is a great place to experience living like a local in Munich, and some great accommodation can be found around here for a good price. Along with the fun of staying in Haidhausen, it is easy to explore the rest of Munich from here as it is simple to reach the center of the city via the S-Bahn and U-Bahn. Novotel München City – Recently renovated, this Munich branch of Novotel boasts large, neutral toned bedrooms featuring eye-catching artworks and soundproofing for an extra peaceful night’s sleep. At this 4-star offering, guests will find a chic swimming pool and spa, as well as a fitness center. There is also a modern bar and restaurant with a vibrant atmosphere. Situated near the Deutsches Museum, this hotel is also not far from the Residence Theatre. You can rent bikes from the hotel and there’s an S-Bahn station a stone’s throw from here. Motel One München – This large, purpose-built modern hotel is spotlessly clean and comes with comfortable rooms. These feature good use of space as well as a natural teal and brown color scheme; they also boast city views. There’s a lounge bar at Motel One München; the breakfast buffet is served here each morning but drinks and snacks are available all day. If you want to spend time during your city break in Munich reclining and unwinding then you should stay in laid back Nymphenburg. Further out of the city centre but still well connected by the public transport network by trams, Nymphenburg is a quieter area in the German city. 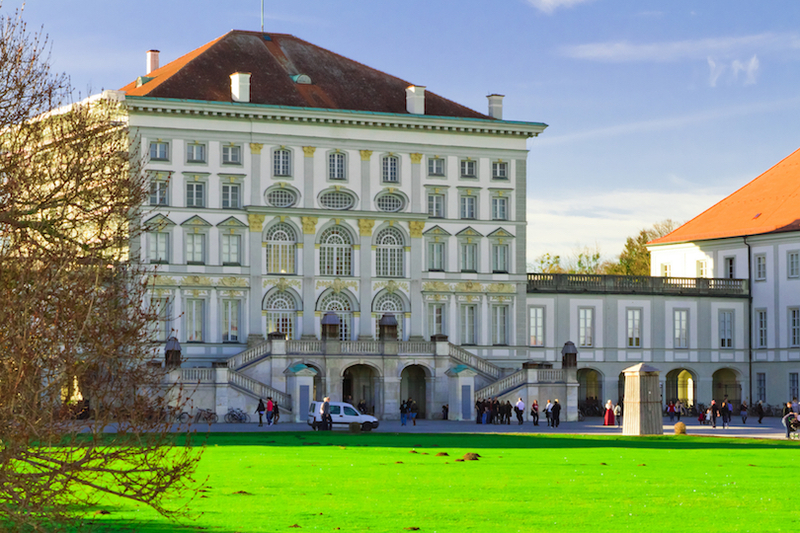 But this is where you will find the famous Nymphenburg Palace, which is a top attraction in the city, however it remains peaceful due to its distance from the center; nearby you can also spend time in nature at the city’s botanical garden. Even though Nymphenburg is a laid back oasis in an otherwise vibrant metropolis it is where you will find the city’s biggest beer garden which has the capacity to hold over 8,000 people! The Königlicher Hirschgarten is popular during Oktoberfest, but it is open all year round and is a great place to sip on a cold beer amongst wildlife next to the deer park, and enjoy some delicious food being served at one of the many restaurants. Because this is a less central area there are less hotels to choose from, but what is on offer is often family-friendly, clean and modern. Leonardo Hotel Munich City Olympiapark – Boasting 196 rooms, this vast hotel features a large, open concept lobby which features artwork from an Austrian artist. The bar and restaurant are located in the lobby. The nicely sized, bright and carpeted rooms at Leonardo Hotel Munich City Olympiapark have charming city views and feature soft beds and armchairs. As for location, this 4-star hotel is just five minutes’ walk from the Olympiapark. Lively Schwabing is the region of Munich to stay in if you like to hang out in trendy cafes and drink craft beer. This boho neighborhood is filled with eateries and opulent boutique shops that cater to a mix of students and laid back intellectuals. Leopoldstraße is a main street in the district that is famous for its attractive architecture, cafes and local shopping, and along with Hohenzollernstraße that buzzes with life, makes up the two main streets where all the action in the district takes place. There are also some great shopping opportunities at the Elisabethmarkt in West-Schwabing. 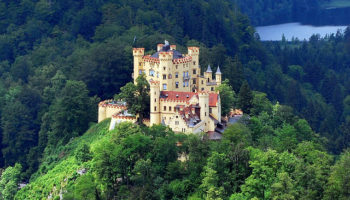 The area is well known to be home to great thinkers such as the famous writer Thomas Mann and the revolutionary Communist leader Vladimir Lenin. Today the district has a middle class, diverse, off-beat atmosphere and offers a mix of Bavarian mixed with metropolitan living. Schwabing has good connections to the U-Bahn with stations across the neighborhood as well as tram links. The Rilano Hotel München – Surrounded by office buildings and next door to a commercial center with convenient supermarkets and restaurants, this hotel is a quiet, contemporary option. The rooms at this 4-star offering are all about clean lines, simple style, and a calm color palette. There’s an onsite grill and seafood restaurant here, plus guests can enjoy an evening drink in the bar, or a coffee and some snacks from the cafe. There are comfortable lounges to recline in, as well as a conference center located in the hotel. Fleming’s Hotel München-Schwabing – This small hotel features comfortable, low-key rooms with dark wood details and modern, utilitarian furnishings. There’s an onsite restaurant, as well as a beer garden which is perfect in the summer months. Guests can also use the compact fitness center and sauna. Located just a hop, skip and a jump from an underground station and a bus stop, the sprawling public park that is Englischer Garten is also within easy walking distance.